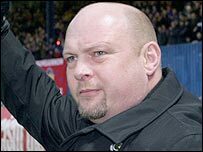 David Jeffrey says he has been impressed by the "professionalism" of his Northern Ireland U23 squad ahead of Tuesday's game with Belgium in Tournai. The match is the first of three in the International Challenge Trophy with games against the Republic of Ireland and Slovakia to follow within a year. "All our squad are fit and well and it is an opportunity for players to put their talent on show," said Jeffrey. "We know nothing about our opponents but we will focus on our own display." "It is a showcase and a shop window for Irish League players and our squad takes in players from a lot of teams. "There is a lot of flexibility and adaptability in the panel and we are ready to do ourselves justice. "We have not had much time to prepare which is a bit frustrating but the limited preparation we have had has gone well. "I had the boys together for a training session for one night and they all gelled very well. "I have a lot of talent at my disposal and it is an opportunity to represent the Irish League. "I have told the lads that they are in for the rest of the tournament so that gives us the prospect od some continuity," added Jeffrey. Jeffrey has taken a 17-man squad to Belgium and faces a number of selection posers before naming his final XI. The panel includes four players from Linfield, four from Dungannon Swifts and two each from Glentoran, Ballymena United and Newry City. One player each from Cliftonville, Limavady United, Lisburn Distillery and Institute complete the squad. 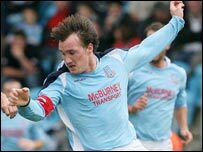 The team will be captained by Ballymena's Albert Watson with Sean Ward of Glentoran vice-captain. Northern Ireland are competing in the event for the first time, with the competition being staged over two years. Jeffrey's side have been drawn in Group B alongside the Belgians, Republic of Ireland and Slovakia. Northern Ireland will host the Republic next spring and their final match will be away to Slovakia next October. Group A will consist of trophy holders England, Finland, Wales and Italy and the group winners will meet in the final in February, 2009. The tournament comes as a follow-up to a successful representative match against the English National Game XI earlier this year. Northern Ireland U23 squad: Murphy (Ballymena), Nelson (Dungannon), Ervin (Linfield), Lindsay (Linfield), Watson (Ballymena), McMinn (Dungannon), B Holland (Cliftonville), Ogilby (Institute), Scullion (Glentoran), Ward (Glentoran), Clarke (Newry City), McIlmoyle (Limavady), Mulgrew (Linfield), McGinn (Dungannon), Waterworth (Lisburn Distillery), Stewart (Linfield), McAllister (Dungannon Swifts).